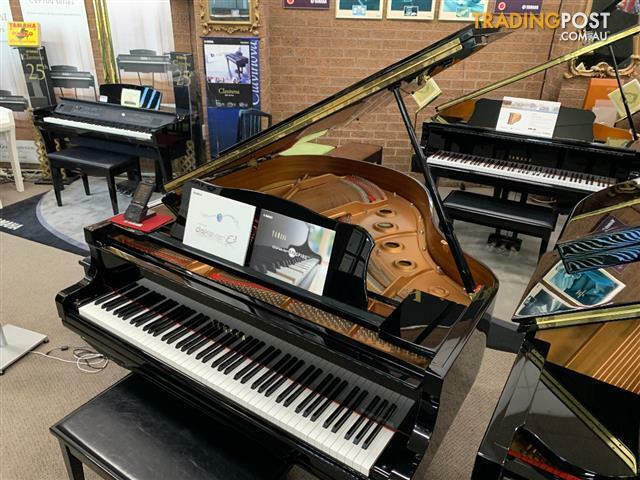 Purchased new from us and is a one owner piano. 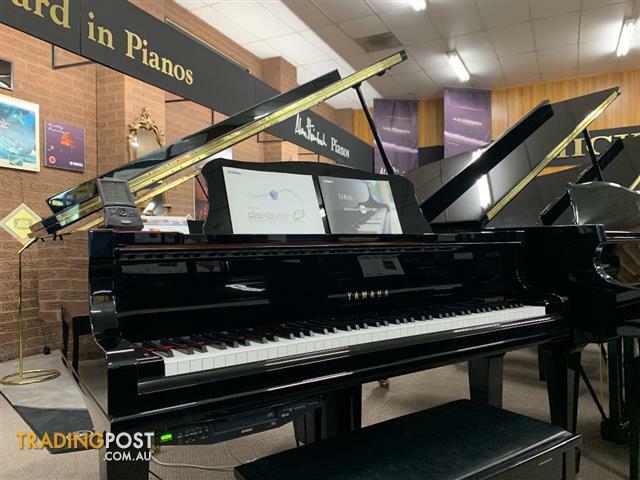 It is in Excellent Condition and has been well maintained by our Yamaha Piano Technician. This Disklavier MK4 Player Piano has also Silent Piano technology to enable the piano to be played silently using headphones. 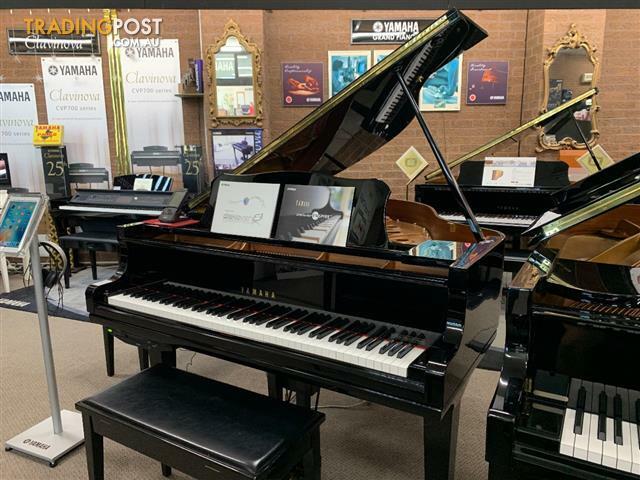 The introduction of the Yamaha GC1 with its combined scale and rich tonal quality of the Yamaha C Series and cost advantages of the Yamaha G Series, will certainly open up a number of possibilities for home-customers previously constrained by small rooms and small budgets. 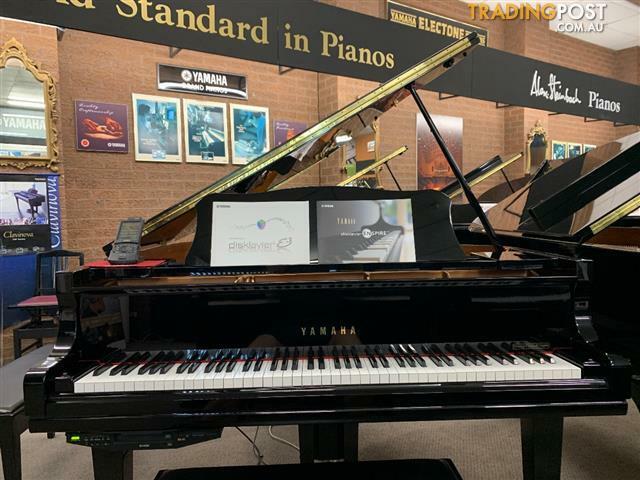 Ever since the original Yamaha Disklavier introduced the marvels of hybrid acoustic/digital pianos back in 1986, these computer-age ‘player&apos; pianos have evolved into instruments that can reproduce ‘live&apos; acoustic piano concerts and ensemble music with instrumental backings and vocal tracks. The Disklavier Mark IV takes this all a step further. Yamaha&apos;s unique combination of both acoustic and digital superiority has made it the obvious choice of music-lovers, pianists, and educators worldwide. Its easy-to-operate user functions make the Disklavier a breeze to customize and automate, always giving you the right music at the right time. 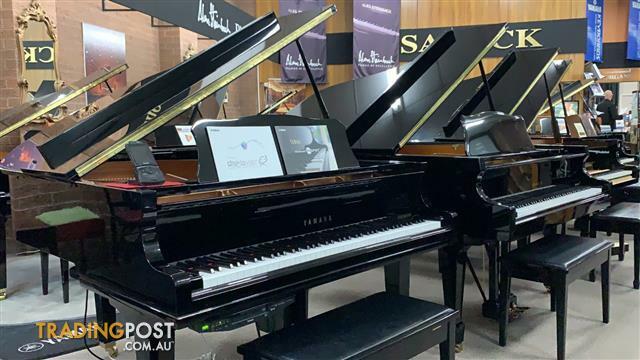 Combining the tone and touch of world-class Yamaha grand pianos with an astonishing range of interactive capabilities, the Mark IV is the ultimate piano for home entertainment systems, business establishments, or educational and creative environments. The sleek, compact design of the PRC-100 literally packs all of the Disklavier Mark IV&apos;s features and functions into a single hand-held device. Its intuitive full-color touch screen (320 x 240 pixels) is as easy to read as it is to use. You can browse your entire library with the handy stylus, or create custom playlists using the built-in QWERTY keypad.